Canada Express Entry Immigration Help? 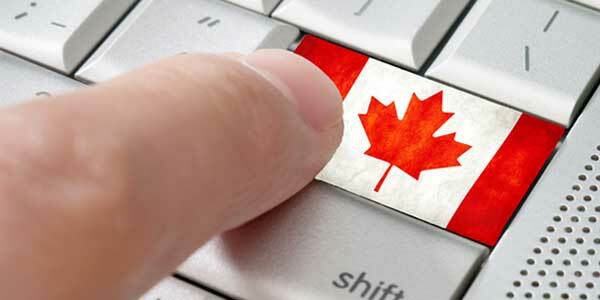 Experienced Canadian immigration professionals helping people worldwide with Express Entry to Canada. Express Entry Canada eligibility is determined using a unique point-based system called the Express Entry Comprehensive Ranking System (CRS). The Canada Express Entry CRS is designed to identify potential immigrants that are likely to succeed economically once living in Canada. To do so effectively, the Express Entry CRS awards points for factors that Citizenship and Immigration Canada (CIC) have found to correlate positively with future economic success for new immigrants to Canada. These Canadian Express Entry eligibilty factors include age, level of education, French or English language proficency, as well as previous work experience in Canada. Anyone who meets the requirements of the Federal Skilled Worker Program, Canadian Experience Class or Federal Skilled Trades Program is eligible to create an Express Entry profile. There is no minimum score for Canada Express Entry eligibility. Only prospective immigrants with enough Express Entry points will be invited to apply for Canadian permanent residency, however. To help determine your Express Entry eligibility score, we have provided the detailed Comprehensive Ranking System formula below. Once you have calculated how many Express Entry points you are eligible for, you can compare this number to the minimum CRS points required from the latest Canada Express Entry draw. If your Express Entry CRS points score is near or above the minimum required points from the latest draw, you are likely a very competitive candidate. If your Express Entry score is significantly below the minimum cutoff score from previous draws, however, your chances of receiving an Invitation to Apply (ITA) for permanent residency in Canada may be weak. Questions about Canada Express Entry eligibility? Contact our Canadian immigration team today for a FREE consultation. Canadian immigration candidates entering the Express Entry pool without a spouse or common-law partner are eligible for up to 110 points under this criterion of the Express Entry Comprehensive Ranking System. Candidates with a spouse or common-law partner are eligible for up to 100 points. Canada prefers young immigrants, and prospective candidates in their twenties receive the most points under this eligibility factor. Potential immigrants who are 45 years of age or older do not receive any Express Entry CRS points for their age. Canada is very interested in attracting highly educated immigrants. This Canada Express Entry eligibility factor rewards prospective immigrants who have excellent educational qualifications. Well educated immigrants that do not have a spouse or common-law partner can be awarded as many as 150 points under this component. Express Entry candidates interested in immigrating to Canada with a spouse or common-law partner can obtain up to 140 points. Candidates who have not graduated from high school receive zero Express Entry points under this section. When determining Express Entry eligibility, the ability to communicate in one of Canada's official languages is important. English proficiency and French proficiency are determined according to four abilities: speaking, listening, reading and writing. Each of these abilities is equally weighted under the Canada Express Entry eligibility formula. Express Entry applicants without a spouse or common-law partner are awarded up to 34 points for each first language ability, for a total of 136 points (34 x 4). Applicants with a spouse can get up to 32 points per first language ability, for a total of 128 points (32 x 4). For both types of applicants, each of these language abilities is worth up to 6 points as a second language for a total of 24 points (6 x 4). This means it is possible to be awarded up to 160 points (136 + 24) under this Express Entry eligibility factor as a prospective immigrant without a spouse, while candidates with a partner are eligible for up to 150 points. Previous work experience in Canada can increase the probability of a new immigrant succeeding in their career, and is consequently an important factor when calculating Canada Express Entry eligibility. Applicants with a spouse or common-law partner are eligible for up to 70 points for this Comprehensive Ranking System component, while those with no spouse or partner are eligible for as many as 80 points. In many of the previous Canada Express Entry eligibility components, applicants without a spouse or common-law partner were eligible for more points. This is because candidates that are applying for Express Entry with a spouse are awarded points specifically for their spouse's attributes. A spouse's educational qualifications is one of these measured factors, and applicants with highly educated spouses can be awarded up to 10 points under the Canadian Express Entry CRS sector. There is a positive correlation between the ability of a new immigrant to speak one of Canada's official languages and their future level of integration into Canadian society. Since prospective immigrants than can communicate in English or French or more likely to successfully integrate and adapt once living here, it is clear why language profiency is the largest Express Entry Canada eligibility component for spouses. Candidates applying for express immigration to Canada with a spouse or common-law partner that can read, write, speak or listen effectively in either English or French can gain up to 5 points for each ability for a total of 20 points. Work experience in Canada is a key factor when determing Express Entry eligibility, and a spouse's job experience in the country helps as well. Express Entry Canada applicants with a husband or wife or common-law spouse that has eligible Canadian work experience can gain as many as 10 points under this CRS category. The Canada Express Entry eligility score of applicants with skills that transfer well into Canadian society can gain up to 100 points under this category. There are a variety of options available under this Express Entry CRS component, each worth as much as 50 points, but the Express Entry skill transferability factor is firmly capped at 100 eligibilty points. Candidates for immigration to Canada who are entering the Express Entry pool can gain a significant increase to their total CRS score by being nominated by a Canada Provincial Nominee Program, receiving a qualifying arranged job offer or having graduated from a post-secondary educational institution in Canada. This Express Entry Canada eligibility component awards candidates for Canadian immigration a maximum of 600 points, so a provincial nomination and a qualified job offer or Canadian diploma can never be combined for a CRS increase of more than 600 points. In order to obtain an Express Entry Canada eligibility score above 600 points, candidates need a provincial nomination, an appropriate job offer or a Canadian education. Changes made to the Express Entry ranking system in November 2016 reduced the number of points awarded for job offers with a positive Labour Market Impact Assessment (LMIA). Previously, LMIA supported employment offers could award a candidate with an additional 600 points, and almost half the Express Entry candidates who receive an ITA for PR in 2015 had an LMIA-based qualified employment arrangement. Points for an eligible college degree or certificate were also added to the Express Entry ranking critieria during this update. In 2017, employment offers for jobs that are considered National Occupational Classification (NOC) 00 now award 200 Express Entry Comprehensive Ranking System points. These management positions are: Legislators (NOC 0011), Senior government managers and officials (NOC 0012), Senior managers in financial, communications and other business services (NOC 0013), Senior managers in health, education, social and community services and membership organizations (NOC 0014), Senior managers in trade, broadcasting and other services (NOC 0015), and Senior managers in construction, transportation, production and utilities (NOC 0016). Other skill type 0 occupations, along with skill type A professional jobs and skill type B technical and skilled jobs now award 50 Canadian Express Entry eligibility points. Under new Express Entry regulations, all qualifying job offers no longer require a positive LMIA. Foreign nationals who have been working in Canada for at least one year on an employer specific LMIA-exempt work permit may now be eligible for job offer points under the Express Entry CRS. North America Free Trade Agreement (NAFTA) professionals, Mobilité Francophone participants and intra-company transferees are examples of LMIA-exempt work permit holders who can obtain Express Entry points if given an eligible job offer by their current employer. Eligibility for additional Express Entry points is also possible for people with Canadian work permits issued by a province or territory or as a "significant benefit to Canada." Express Entry eligibility rules now only require an employment offer to be for a minimum of one year starting on the day the individual becomes a Canadian permanent resident. The British Columbia PNP, Alberta PNP, and Ontario PNP are three of the most popular provincial nominee programs in the country. If you are interested in a provincial nomination, Canada PNP programs can be contacted either directly or through the online Express Entry system. To stay up-to-date on Express Entry 2017 changes that can affect your eligibility to receive an ITA, please return to this page regularly. Questions about your Canada Express Entry eligibility? Contact us today! If you want to immigrate to Canada through the Canadian Express Entry program, please call us or complete this form! 24h Response Time! © 2018 Canada Express Entry Application Service. All rights reserved.